You’ve seen chimney pots before, and probably without even realizing it. Homeowners with a fireplace should learn all about chimneys and the components that create a safe and working fireplace—chimney pots included. 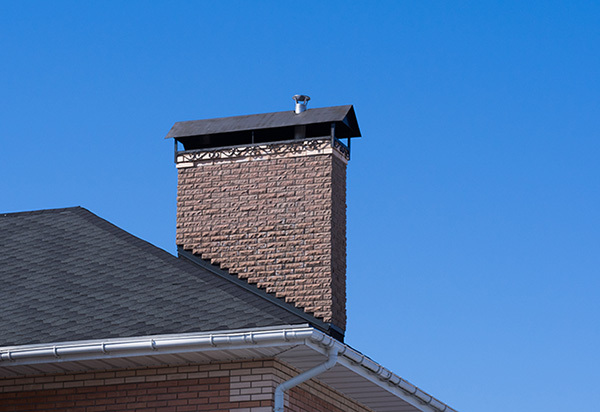 Chimney pots are popular and can be uniquely crafted to meet certain architectural designs that offer functionality for the fireplace and chimney, but also contribute to the overall aesthetics of a home. A chimney pot is an extension that can be visibly seen on the topmost part of the chimney’s smokestack. Its purpose is to elongate the smokestack to produce a better draft for combustion. As time progressed, however, the chimney pot became more than a means to extend the chimney but as a method to display design trends to reflect the surrounding city’s and the homeowner’s tastes. 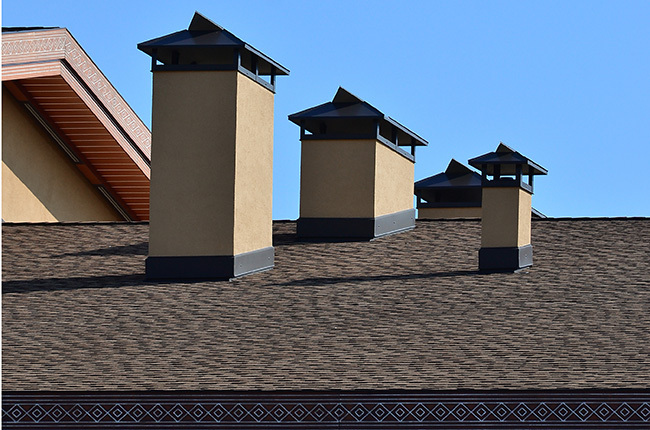 Chimney pots have been utilized worldwide and the styles, materials, and designs can vary. Chimneys with more than one pot sitting on the top of it can indicate that there are multiple fireplaces sharing the chimney on different floors inside the home. These devices may even prevent smoke from the fire from billowing into your living space, which can be extremely dangerous for you, your family, and any of the other home’s occupants. Pots sitting on the crown on the chimney can also offer protection from the weather. Chimney pots give the opening on the chimney extra coverage to keep out debris from trees like leaves, acorns, and sticks, while also protecting the interior of the chimney from rainfall, snow, ice buildup, and small rodents or birds that find their way inside chimneys to make nests and seek shelter. Rainwater and excess moisture are typically not problematic for chimneys, as the masonry is designed and created from materials to encourage quick evaporation to prevent moisture from retaining and seeping to the interior. Rainwater can collect at the base of the chimney, and in this situation, weep holes are included at the base to prevent water from retaining. What Do Chimney Pots Look Like? The designs of chimney pots can range from a standard tube shape piece to elaborate constructions featuring dragons, candy-styled twists, castle-shaped tops, and even chimney pots with rain guards for additional protection. The pots placed on the top of the chimney must be constructed to accommodate its size. Certain chimney styles feature larger chimneys and flues, and so pots like Jumbo American E, the Magnum Windsor, and the Stafford Magnum are all made to fit these extra-large chimneys to offer better drafts. Magnum chimney pots can be built to reach six feet high and cover flues that expand over two feet in width. Tudor and postmodern styles are available with every design in between to fit any homeowner’s tastes. Material and color can also be selected for the perfect pot to compliment your home’s style. For the most popular and original chimney pot, the tapered terra cotta pots were originally designed for draft purposes and have been widely used in America since the early 19th century. The terra cotta pots were used so often because of their supreme ability to withstand the intense heat of the fire and the chimney, and if you look closely in some neighborhoods, you’ll notice how long these pots have been around. This style of chimney pot also doesn’t attract lightning, unlike metal caps. Terra cotta pots are so efficient and durable that they can last centuries! Anyone with a chimney can add a pot to crown the home’s smokestack. It’s a cost-effective way to contribute to the overall look and feel of your home. Depending on what style and how elaborately designed you want your chimney pot will determine the price of how much it costs. In buying a new home, many future homeowners are looking at the curb appeal first, and the architecture and construction of the house can even make or break a home buying decision. Chimney pots can be as complex or as simple as you want to make them, and with this small addition to top off your chimney, you can give your house stature and elegance that improves your curb appeal immediately. A chimney pot can also keep your chimney cleaner, as discussed previously, by protecting it from the outside elements of weather, debris, and small animals from making a home on the inside of the chimney (Does a fireplace add value to a home? read it here). How Do I Install a Chimney Pot? After you select your chimney pot and make the purchase for your smokestack, it’s time to do the installing (it’s important that you ask before buying a chimney pot to ensure you’re getting the correct size for your chimney). The first step is to use a wire mesh and caulk, but this is optional. The wire mesh secured by silicone caulk will protect your chimney from debris and other damaging elements. Use a circular saw to clear the top of the chimney because chimney pots cannot be placed directly on top without removing excess tiles or cement first. Remember that any water that has a possibility of seeping into the masonry can damage the smokestack and chimney in the future. Use mortar to secure and place the pot on the chimney, ensuring that you’re covering the flue’s base with three inches of mortar. Push the chimney pot into the mortar with delicate force in order to secure it atop the chimney. Finally, taper the mortar and make sure that the top of the chimney is crafted to guide water down and off of the chimney’s surface, or else rainwater will begin to collect and this could damage the masonry. Water the mortar to prevent cracks from forming over the next few days. Keep an eye on the chimney pot for the next few days to ensure optimal setting and to prevent any cracks from forming on your newly placed mortar. For heavy snowfalls, place a protective cone around your chimney pot for protection. Be sure to check the mortar surrounding the pot periodically if you live in locations that see extreme temperatures and drastic temperature changes. Selecting a chimney pot is definitely a more funhouse chore because of the hundreds of different shapes, sizes, materials, and designs that are available, and with a beginner’s understanding of do-it-yourself housework, you can manage to install a chimney pot yourself. If you’re looking to resell your home in the future, keep in mind that by adding a chimney pot contributes to the exterior design of your home, an aspect that attracts many potential buyers. Chimney pots add to a bit of formality and dignity to the outside of a home, and because of the numerous different styles, you can find a type that compliments the looks of your house. Installing a chimney pot can be the crowning jewel for the exterior of your home. With its many benefits, chimney pots are a simple step to increase the looks and functionality of your chimney. Adorn your chimney with a pot to improve the draft of the smokestack, keep debris from falling into the chimney, and to embellish the look of your home, or choose to reflect certain architectural cultural influences. Chimney pots add tremendous value to your home. However, the maintenance on your chimney should be considered as the most important aspect to the value of your home and safety. At Early Times, we deliver on that promise by offering excellent chimney cleaning and inspection. As a rule of thumb, homeowners who use their chimney should have their chimney cleaned out at least once a year to ensure that creosote is not build up inside the chimney. Speak to a specialist and get a free quote today.